This sporty T-shirt is perfect for your little guy to wear during playtime or for a casual outing alike. 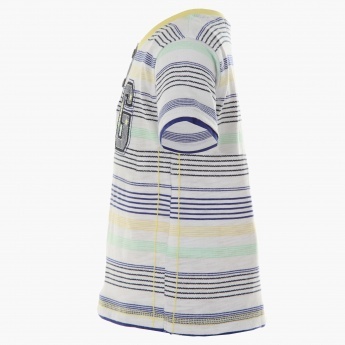 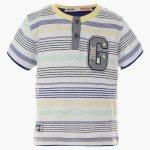 It features a henley neck with a contrast placket, multicoloured horizontal stripes and an applique on the chest. 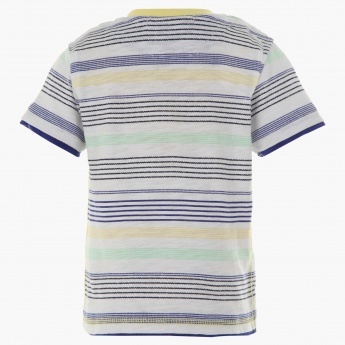 He can wear it with his denim shorts and sandals on a casual day out.